Try running doubles or on tired legs at least once a week. On race day, you'll have to run anywhere from 4 to 16 miles several times with a few hours in between. Run a hard five miles in the morning and another four after work, or lift weights and then run, etc. The idea is to get used to running while tired. Prepare to run at night. Have someone run with you after dark and run wearing all the safety gear required - a headlamp, a taillight and a reflective vest. Figure out what you need to eat on the run and bring it. I packed my homemade peanut butter running fuel and it worked quite well. Pack light. There's a bunch of people in a van together with all the stuff. Limit yourself to what you actually need. but I'm going with it. Napoleon is there for scale. Giant zip top bags. Buy them and use them. I needed four bags - one for each leg of the race, plus an extra for odds and ends like arm warmers, extra hats, lounging clothes and socks. Soak old wash cloths in water and put them in plastic bags, then add one to each of your clothing bags. Unscented baby wipes are not just for babies. Skip the scent or you'll smell like a sweaty baby. Pack an extra pair of shoes and a pair of flip flops for hanging out. Sunscreen and bug spray are important. Edit: Ragnar provides water at exchanges. I drank from my handheld water bottle during the legs that I filled using the cases of water we packed, then chugged electrolyte water after each leg to prevent cramping. Take a light blanket and a neck pillow. You never know where you'll end up catching a few ZZZs. I wish I had the Chawel then because it's brilliant - towel, changing room and sleeping bag. Live and learn. Pack your food in individual bags, then place the bags in large tupperware containers so they don't get crushed. Most teams will rent cargo vans. These ride like buses, so if you get carsick, plan accordingly. I do, so I was happy to get assigned the minivan rather than the cargo van, but I brought Dramamine, too. This should be thought out in advance, but you may wish to run double legs. For example, I ran legs 33 and 34 because they were short - 3 or 4 miles. It's a waste to get out to run just three miles. Use a smartphone tracking app and mass texting to stay in touch with your team. The distance of leg seven was changed while our runner was out on the course. With the texting and tracking, we were able to pick her up and drop another runner. Technology is awesome. Use it. We bought car window markers to decorate our cars. 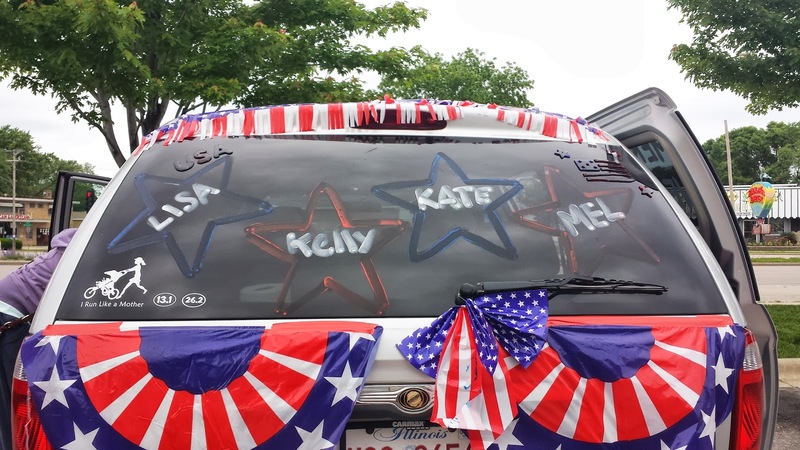 You can also use dry-erase markers to write on the white part of vans, too. If you're going this route, pack a scrubby sponge so you can get the stuff off before returning your rental van. After each leg, head straight to a port-o-potty and wipe down with the wash cloths and baby wipes, place your dirty clothes in the zip-top bag and put on your next set of clothes. This keeps the smell down and makes you feel less disgusting. 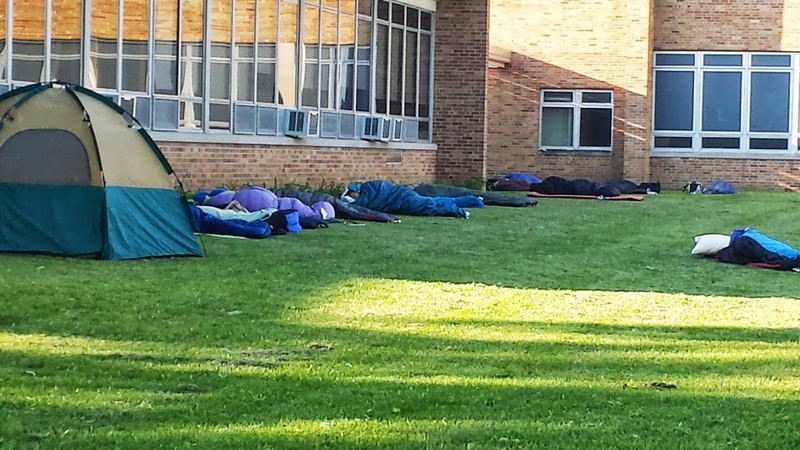 Sleep when you can, but only in designated sleeping areas. It's so much more restful to sleep horizontally than in the van. Some exchanges have food, water and parties going on, and some are just little cones set up for an exchange. The exchanges that are fun are noted in the Rag Mag you get when you check in. The only bathrooms on the course are at the exchanges, or if there are gas stations or whatever in your run leg. You may wish to tote toilet paper and practice your outdoor bathroom skills. Learn from my mistake: Don't just eat whatever crosses your path unless you want to have to use those outdoor bathroom skills. 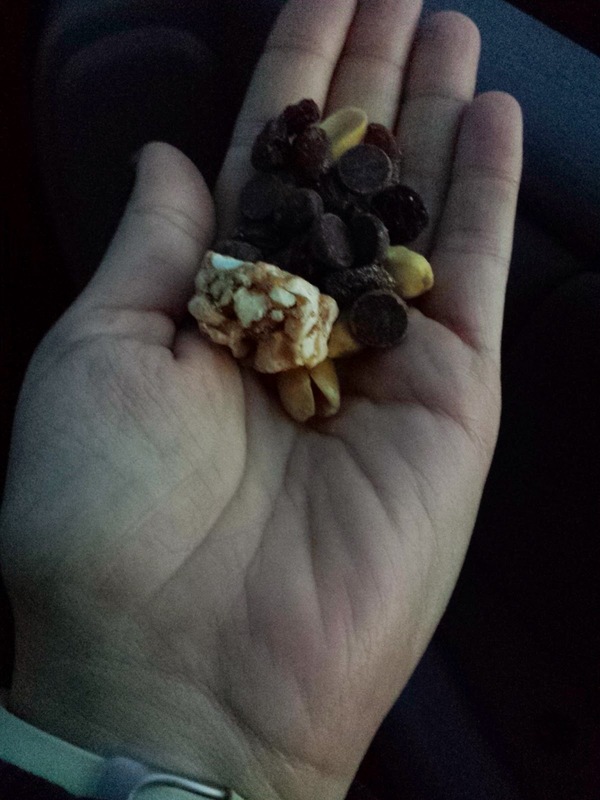 Pack the food you know agrees with you and stick with it. Brushing your teeth and washing your hands and face with real water makes you a new woman. Take advantage of this where you can. It can be a long day, and tensions can rise. If things get heated, remain calm and remember it's only 24 hours and you're only upset because you're sleep deprived, dirty and in close quarters. Our team got along well, but in retrospect, it was because we didn't know each other well and kept things polite and diplomatic. Drinking isn't allowed on the course, but lots of teams bring a picnic lunch and hang out at the finish. I wish we would have thought ahead and done this. It looked fun! The women's shirts are true to size and quite nice. At the finish line, you get one pizza per van, one beer per person and one medal per person. Only the team captain can get the medals. 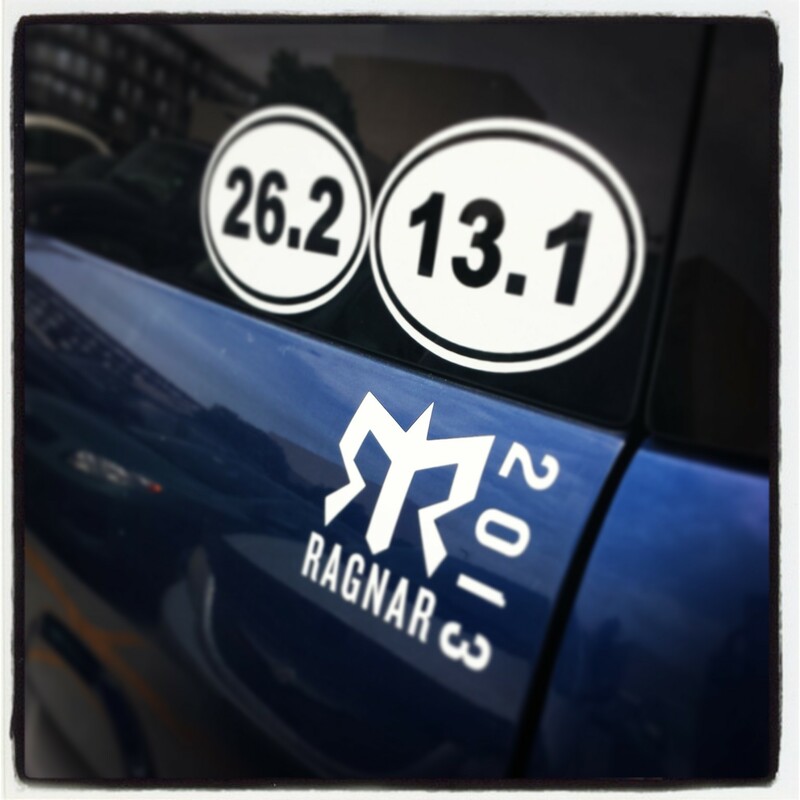 Finishers get Ragnar vehicle stickers. 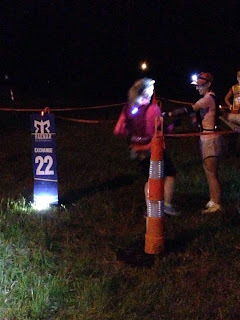 There is a store at the start and finish with Ragnar gear, including jackets, shirts, pint and shot glasses, reflective gear and all sorts of doodads. Volunteers get a big discount. 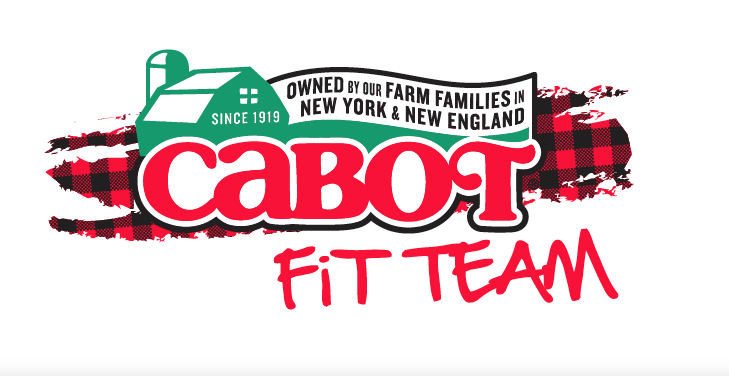 There are a variety of awards for best van, best outfits, best team name, etc. Check the Rag Mag that you get at check in for details. 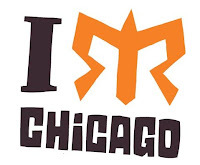 Read my Ragnar Relay Race Recap from the 2013 Madison to Chicago event. HOW awesome! You rock lady! Great tips and advice as well! Did you change in port-o-potties???? We just changed in the last row of the van. Also, sweaty babies! Yes. Totes. Yes to packing light, but don't forget you'll want to change into something else once you finish. Luckily with all of our sponsor clothes, I had something clean to wear. I'm not sure how I made a gif, but its pretty cool. Awesome job! 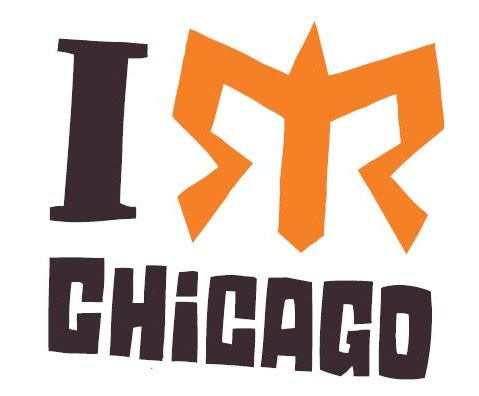 As if seeing more and more people with Ragnar shirts on running wasn't hard enough, seeing the recaps makes me sad I didn't do it. The picnic lunch at the finish is a fun idea! I always feel sorry for Van 1 that they have to hang around for like 6 hours after they're done! 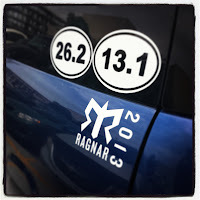 I was so sleep deprived after this year's Ragnar that I have no idea what I did with my sticker. So, uh, either have someone with you at the finish to keep track of your stuff or have a safe place to put things! Congrats!! 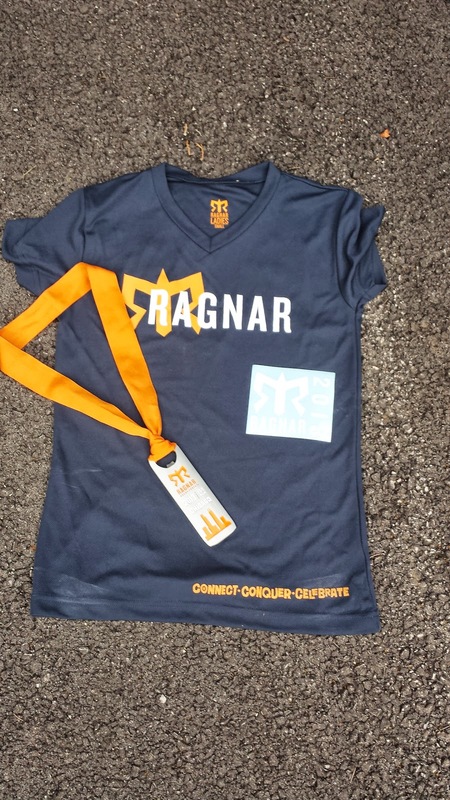 I ran my first Ragnar this year too (Cape Cod back in May). The best training advice I took away was to plan double run days--but space your runs about 6 hours apart (instead of, ahem, 12 hours like I did), and, more importantly, don't shower in between! I think that was what really threw me--I was totally fine in the comfort of my own home, not really thinking how I tired and gross I would be feeling. Also, depending on the climate, a hat and puffy coat. It was chilly in the cape at night. I also brought a Snuggie, which was really awesome to have. You never realize how much a shower can make you feel like a new woman. Here is another use for your Chawel to combine with the baby wipes for next time. Put your Chawel on, strip down, and with your baby wipes at your feet (or in my case, a warmed up pot of water), give yourself a full wipe down. Don't forget to have clean clothes prepared to put back on after too. I have done this a few times on climbing trips in Joshua Tree national park since there is no running water or shower facilities. I'm off to my 16th Ragnar and here's what's more important than a neck pillow - eyemask and earplugs. They really help you sleep anywhere! 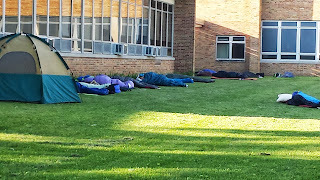 Sometimes even designated sleeping areas are near huge compressors or helicopters making noise, plus all the other teams slamming car doors and cheering for runners... earplugs make a huge difference. Pack them in your carry on, and they help you sleep on the way home too! We have room for four on our Tahoe Trail teams. Tell your friends please!! Love this list of what you learned along the way. Ragnar is definitely on my bucket list, especially with my friend Cam's involvement with them and I know it's only a matter of time before I get to ride in one of those vans. Do you plan to do another one? If time and finances permit, I'd love to do it again! I have always wanted to do one of these, but I honestly don't know too many people that run. I need new friends :( ha. Thanks for the tips. Running North West Passage next weekend. My first! I just found this post via Pinterest..... And it's awesome! Tomorrow I start training for my first Ragnar and this had me whipping out paper and a pen to write down things to remember,... Like a chawel? Brilliant! Thanks! Ragnar Relay in the Books!